Luna is captivating, daring and in quest of femininity. A gourmand fruity floral created by the duo Christophe Raynaud and Marie Salamagne. 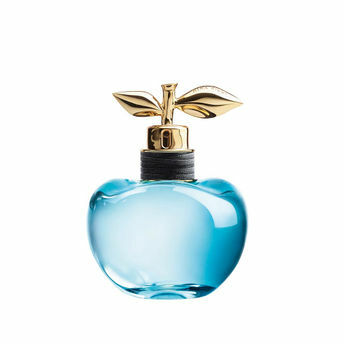 A magnetic bottle apple in blue and night hues, dedicated to Luna, her riddles, her youth, her recklessness. United with Nina. Orange blossom and wild berries are tamed. White everlasting flower is melt into an overdose of caramel. Then carnal vanilla intrigues sandalwood. Vibrant and insolent sensuality. Explore the entire range of Perfumes (EDT & EDP) available on Nykaa. Shop more Nina Ricci products here.You can browse through the complete world of Nina Ricci Perfumes (EDT & EDP) .Alternatively, you can also find many more products from the Nina Ricci Luna Eau de Toilette range.